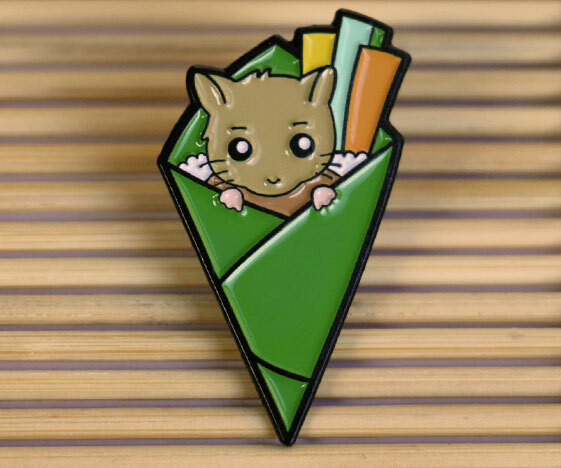 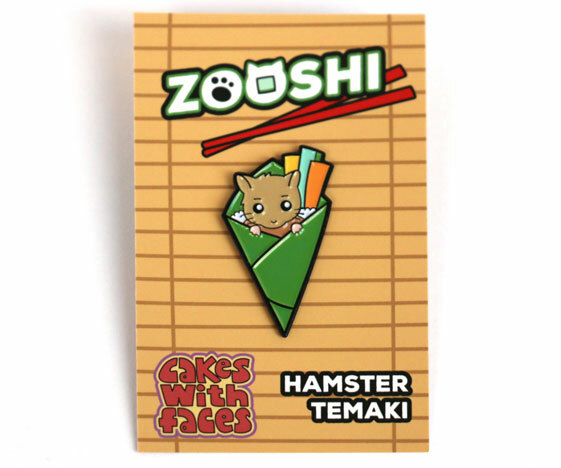 Hamster sushi enamel pin badge. 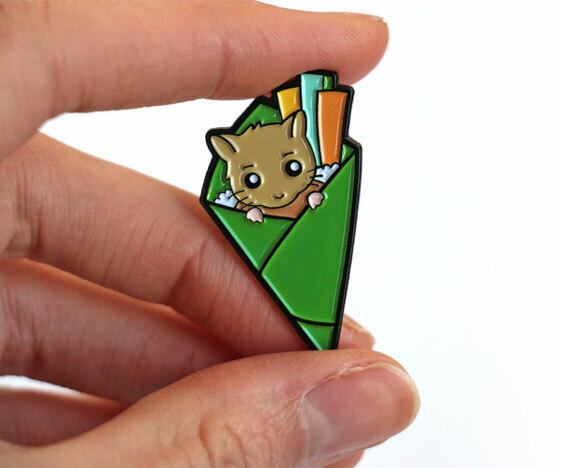 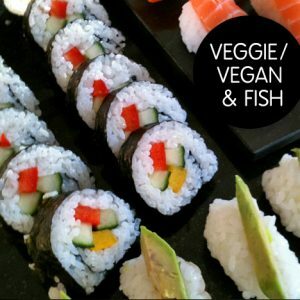 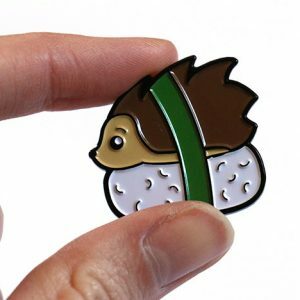 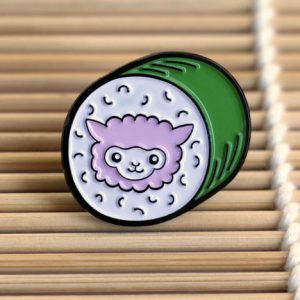 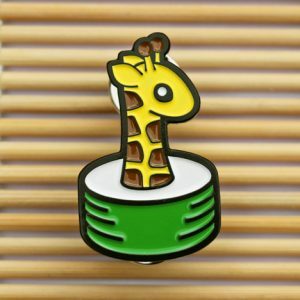 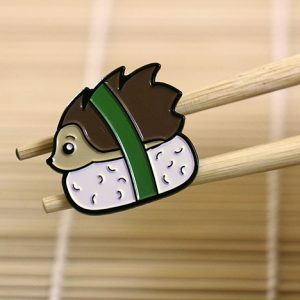 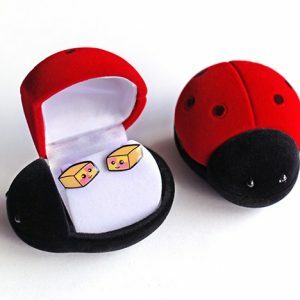 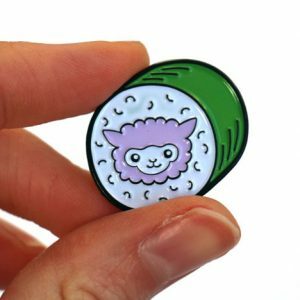 Cute pin badge of a hamster temaki (hand roll sushi). 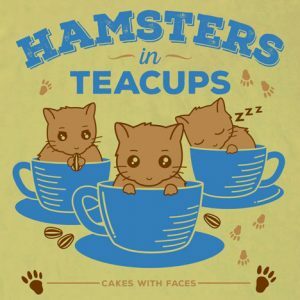 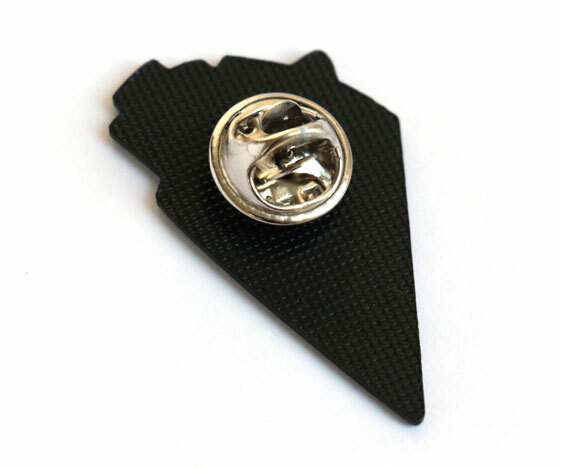 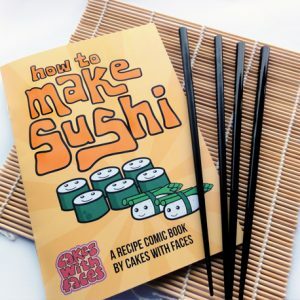 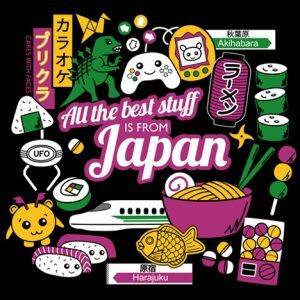 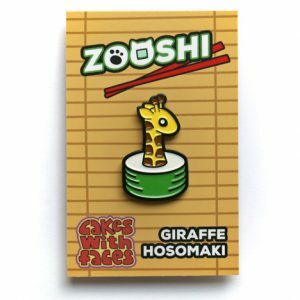 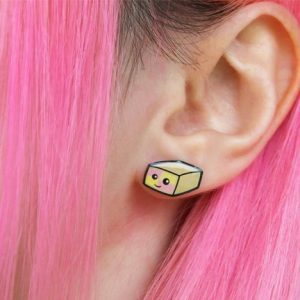 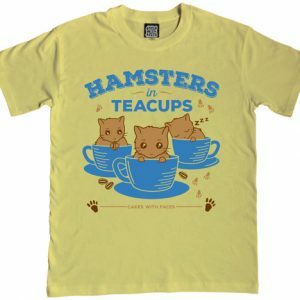 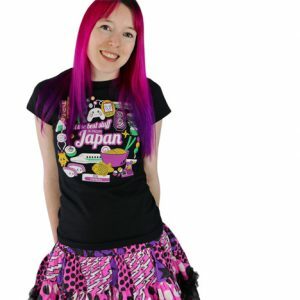 Perfect small gift for fans of Japan and hamsters.